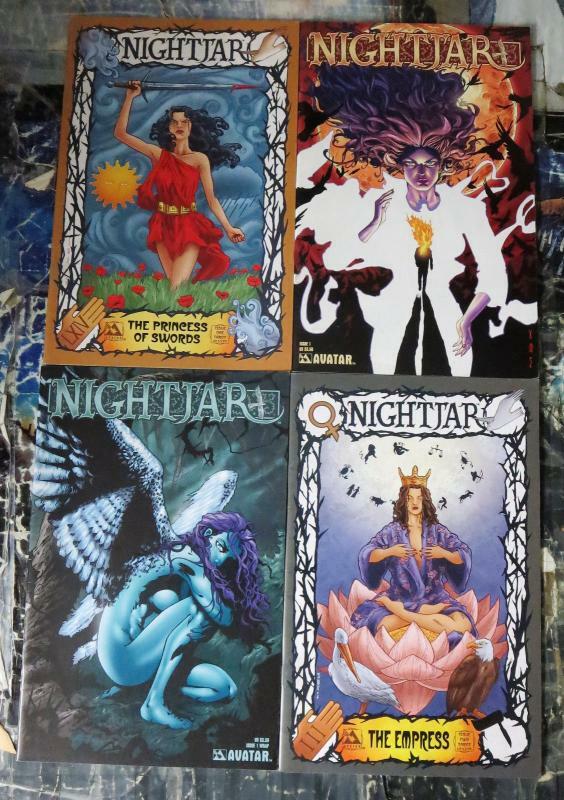 Nightjar Collection 4 Books You Get: NIGHTJAR #1A,B,C NIGHTJAR #2A Some guy named Ryan H. Jackson (probably a contributor to Comicbase or something) writes: "Avatar Press—a company better know for adult fair like Hellina and hard-hitting fiction like Warren Ellis’s Strange Killings—has also become ground zero for some of the more esoteric creations and imaginings of comic’s greatest creators. 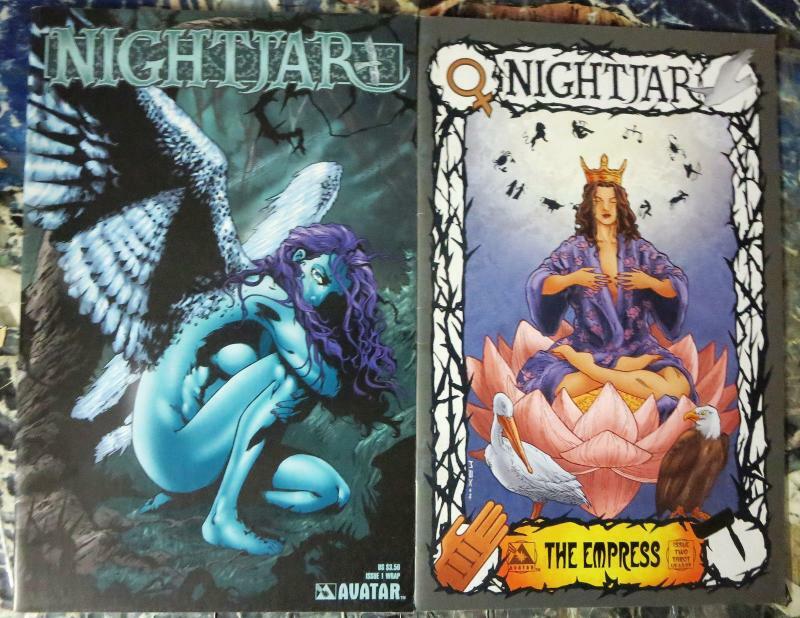 One such book is Nightjar, originally the brainchild of Alan Moore (Watchmen), re-envisioned with the creator’s permission through the writing of Antony Johnson. In this new series based on the creations and concepts Moore first introduced in the early 80s, Johnson has expanded on the original concept of mystical secret societies in modern day England who control the strings of the world. Within this world of mages and witches, the most powerful of sorceresses has just died, but her granddaughter is soon to be enveloped in the intrigue of world-consuming powers. Dark, wry, and filled with Cold War skepticism, this new look at one of Moore’s earlier imaginings is well worth the read." So there you go. 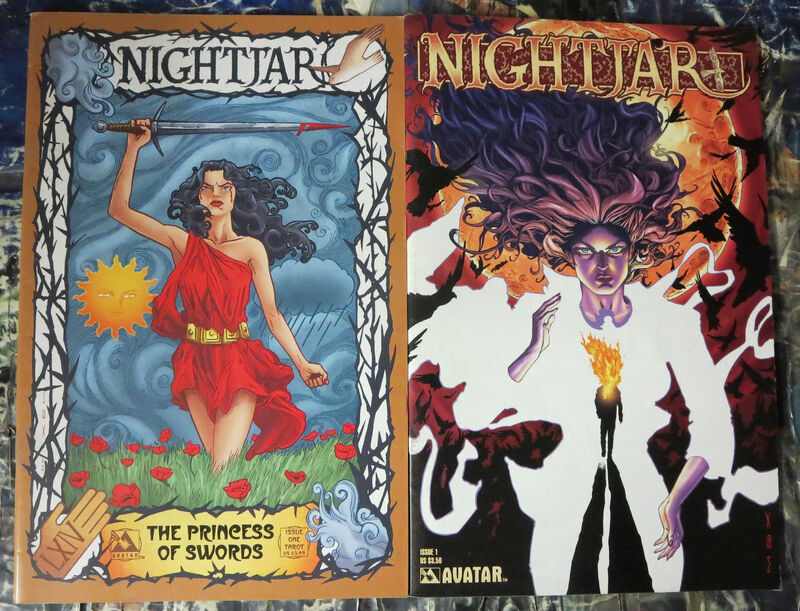 All comics are in nice shape. Shipping Discount for U.S. Customers! After the first $5.00 shipping, add only 25 cents for each additional win/buy. We will refund everything after $8 shipping (Excludes collections, inventories, posters, cgc's and lots consisting of 70 books/mags/magazines or more - for lots & collections, see listings for applicable shipping terms). Warehouse pick ups by appointment - come on by check us out (no shipping for pick ups, obviously) Shipping Discount for International Customers! 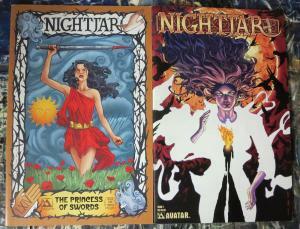 Minimum shipping is $11.00 for one comic, magazine; $16.95 for up to 3 comics, 2 magazines, 1 trade paperback. 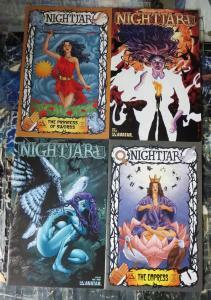 Global priority for $24.00 will fit 2-5 Trades/Books, depending on thickness OR up to 20 comics OR up to 4 magazines. Priority Mail International Flat rate Box is $60 and will fit 7-10 trades/books (depending on thickness) or 60 comics or 30 magazines FOR THE SAME $60 SHIPPING. Shipping Discount for Canada and Mexico Customers! Shipping for one comics is $6. 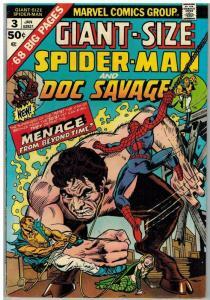 2 comics or one magazine for $8. 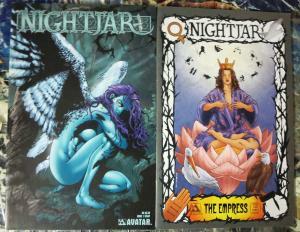 Up to 8 comics or 2 magazines, or 1 trade will be 10.00. $19.95 global priority will fit 3-5 Trades/Books OR up to 20 comics OR 4 magazines). Priority Mail International Flat rate Box is $42 and will fit 7-10 trades/books (depending on thickness) or 60 comics or 30 magazines FOR THE SAME $42 Shipping. Holiday (And Always) Shipping Schedule: Almost all auctions ship within 1 business day after receiving payment, usually in 24 hrs or less; Nifty FREEBIE FUN PACK of Comics and Cards accompanies ALL (yes ALL!!) packages. Payment may be made via PayPal or credit cards.Pick up by appointment for all auctions and listings. Payment options American Express, Visa, Mastercard & Discover End Of Postage and Payment Terms The Avalanche Continues! Check out our Hip store for spectacular sales and Specials New Listings Daily!!!! ALERT! We are STILL sorting750 000 comics - possibly the biggest onetime comic sort EVER undertaken. Watch our auctions, watch our e bay store for sales and specials. We are about to sort the letter "S" (over 200 boxes, 60 000 comics)1000's of listings! FREE giveaways and blaring trumpets in 20 key categories The Kochcom Hip Store! (Everyday is a holiday in Brooklyn) Just Click Here For The Great Kochcom Hip Store Link Nifty Free Fun Packs with every shipment!! a Kochcom Auction The Endless Convention!~ Check out our other auctions!!! More sets, more breakouts, more trade paperbacks, more movies and horror Nifty Free Fun Packs With Every Shipment!! Mutants in various states of madness among us. 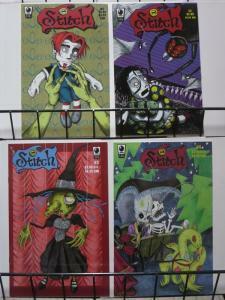 STITCH (1999 SLG) 1-4 complete goth series! 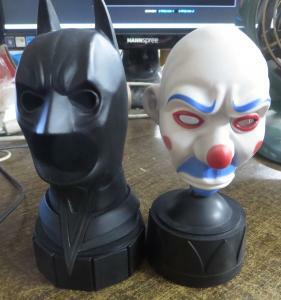 Batman: the Dark Knight DVD/Blu-Ray Special ED Busts: Joker & Bat-Cowl!